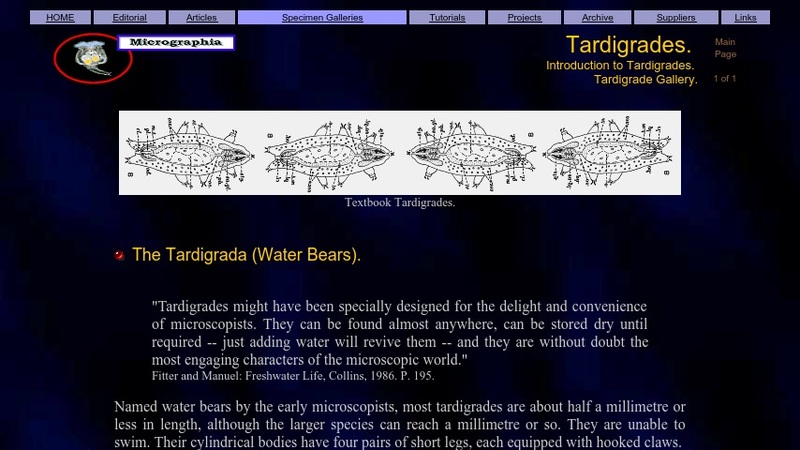 This reference page offers a brief description of Tardigrades, also known as water bears. It includes information about their physical appearance, an explanation of their name, likely habitats, internal organs and other distinguishing features, and a few images. A diagram of a common tardigrade, Macrobiotus macronyx, is also provided via an internal link.